Hawaii gas prices continued to drop throughout the islands over the past week, according to the AAA Hawaii Weekend Gas Watch. The statewide average price is $2.77, three cents less than last Thursday, 10 cents less than last month and 99 cents less than a year ago. Honolulu’s average gas price is $2.61 today, four cents less than last Thursday, 10 cents less than last month and $1.04 less than this time last year. 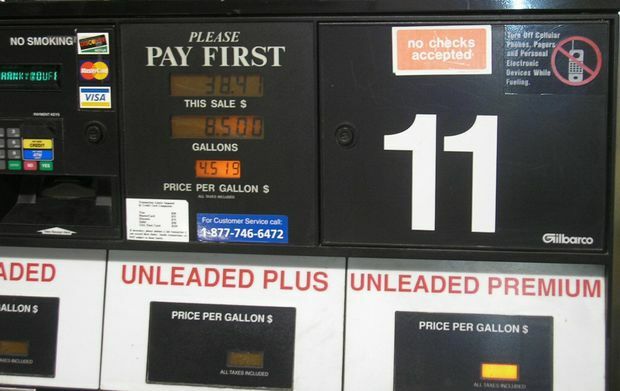 In Hilo, the average gas price is $2.64 per gallon, one cent lower than last week, 12 cents less than last month and $1.04 less than this time a year ago. Wailuku’s average is $3.29, two cents less than last Thursday, a penny less than last month and 73 cents less than at this time last year. AAA Hawaii encourages drivers to maximize gasoline mileage by consolidating errands, using online shopping sites and eliminating extra items, except the spare tire, in the passenger compartment and trunk.